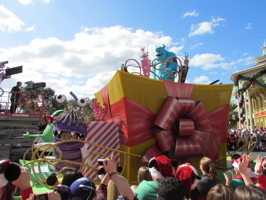 We were invited by a friend of ours to go to the Disney Parks Christmas Day Parade taping on Saturday morning. 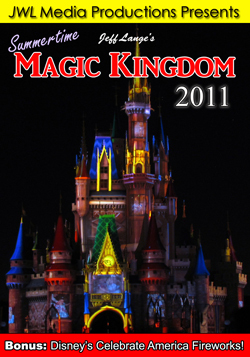 Guests with the passes could get in at 7:30am, though regular day guests could participate in the rest of the parade taping. 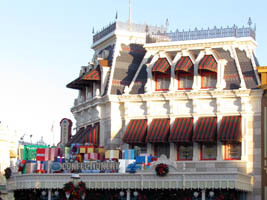 Decorations for the parade sat atop buildings on Main Street U.S.A. (below, left). 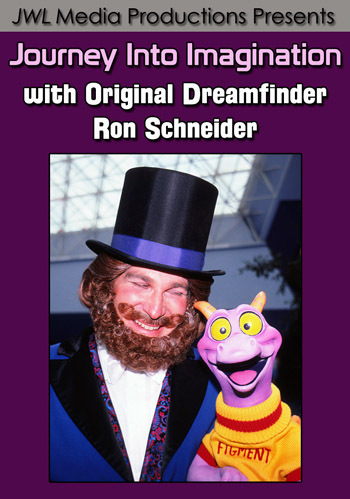 There was only one musical act left to tape, and that was Justin Bieber. 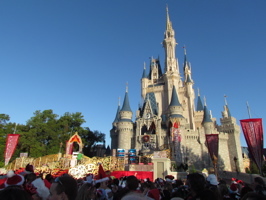 Guests waited in front of Cinderella Castle for the taping to begin (below, right). 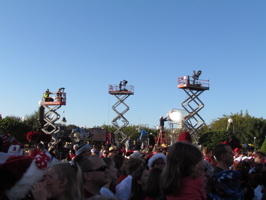 Cameras were set up high above the crowd (below, left). 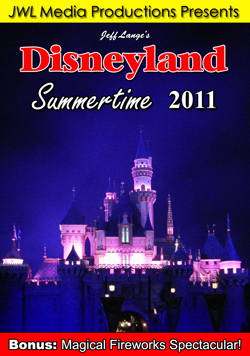 Maria Menounos joined long time Disney Cast Member Billy Flanagan onstage to keep the crown entertained between shooting (below, right). 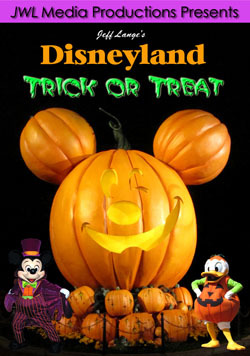 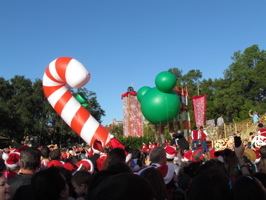 Inflatable Mickey heads and candy canes were carried through the audience (below, left). 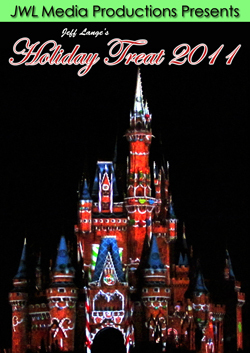 The candy canes were brought out a few minutes later, unneeded. 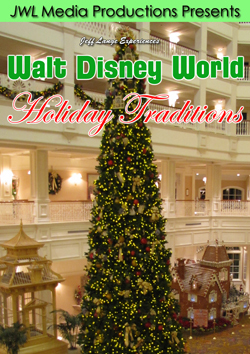 Justin Bieber sang “Under the Mistletoe” and “Santa Claus is Coming to Town” (below, right). 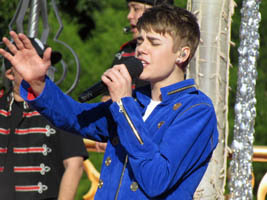 Justin Bieber points to the camera (below, left), and then is lifted by his dancers (below, right) during one of his performance run-throughs. 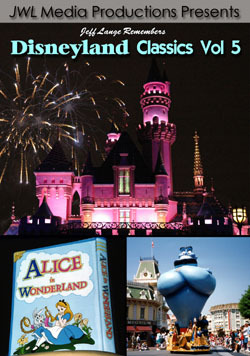 Fireworks shoot off at the end of the segment (below, left). 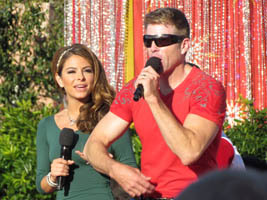 Maria Menounos (below, right), smiles for the camera. 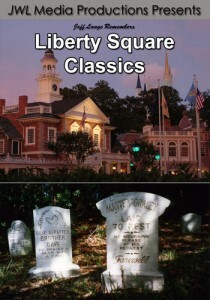 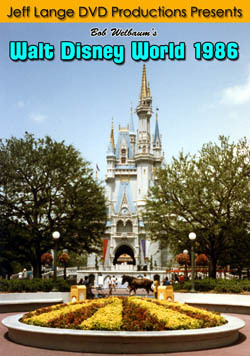 It took about 2 hours from the time Denise arrived until it was time to head toward Main Street for the parade portion. 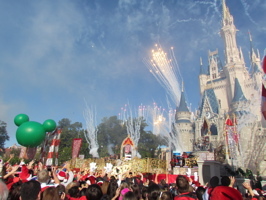 Video – Justin Bieber performing Disney Parks Christmas Parade Taping 12/3/11 Magic Kingdom – Justin Bieber performing at the Disney Parks Christmas Parade Taping 12/3/11 at Walt Disney World’s Magic Kingdom, the full performance will be shown on ABC on Christmas Day. 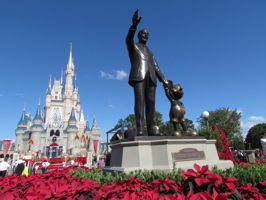 The Partners Statue (below, left) sports a festive look as pointsettia’s surround Walt and Mickey. 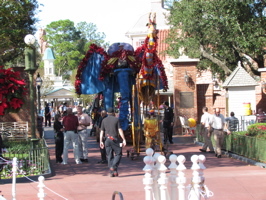 An elephant and a giraffe (below, right) from Mickey’s Jingle Jungle Parade wait for their cue. 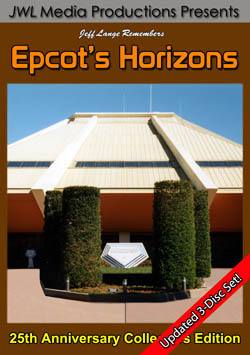 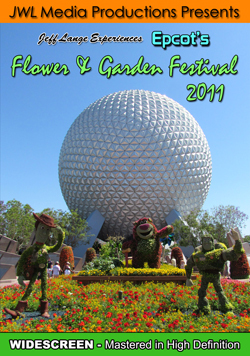 This is the one time each year that elements from all the Walt Disney World parades can be seen at the Magic Kingdom. 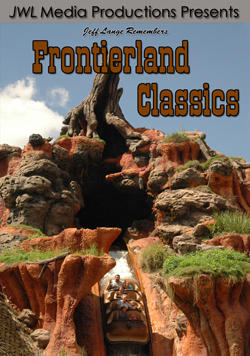 Mowgli and other characters from The Jungle Book (below, left) walk through Frontierland as they head towards Main Street. 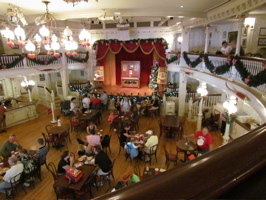 The Diamond Horseshoe was decorated for the holidays and open for guests (below, right), we were even able to sit in the balcony, which isn’t always open even when the Horseshoe is operating. 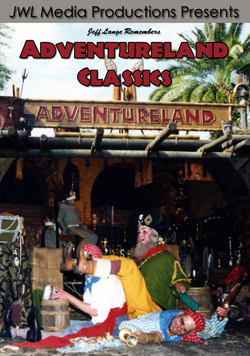 We haven’t been to Fantasyland in a while, which we’ll remedy again later this week. 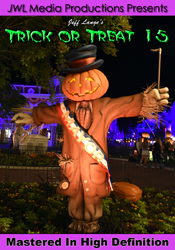 We made a brief pass through on Saturday. 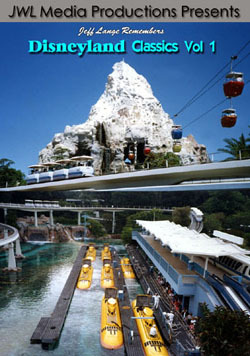 Beast’s Castle (below, left) sits on top of snow covered mountains. 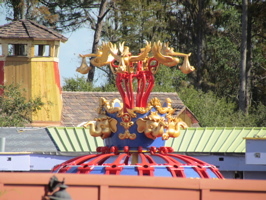 The new Storybook Circus twin Dumbo attractions (below, right) are expected to open early next year, this is the new base for the ride. 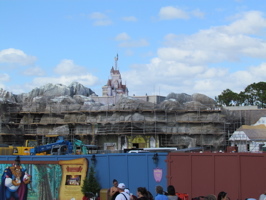 Bon Jour Village Gifts has progressed quite a bit since we last saw it (below, left), as has the queue for Dumbo (below, right). 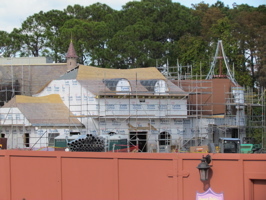 Expect a full Fantasyland update later this week! 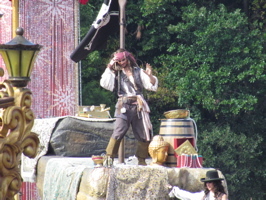 Back at the parade taping, Jack Sparrow waves from the Pirate float (below, left), while Pirate Angelica poses below him (below, right). 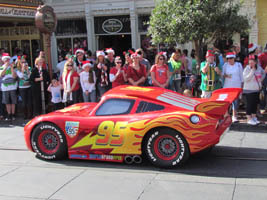 Lightning McQueen from Cars 2 (below, left) drives down the street, and Carl from UP (below, right) follows behind him. 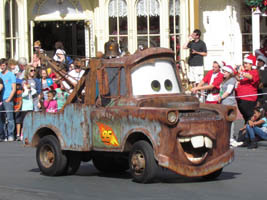 Mater (below, left) rounds the corner at Town Square. 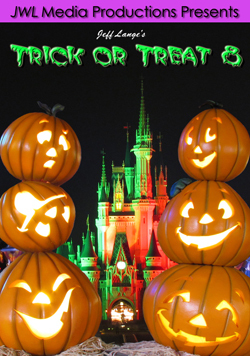 Sully and Boo from Monsters Inc. greet guests (below, right). 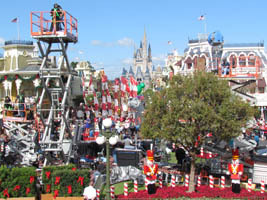 Samantha Brown and Mario Lopez (below left and right) speak to the camera as they record introductions for various segments of the parade. 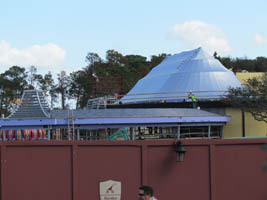 You can really see how much is going on from this spot at the Main Street Train Station (below, left). 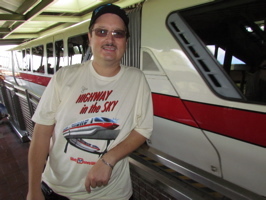 And Monorail Red arrived just as we were leaving, looking very much like my new t-shirt (below, right). 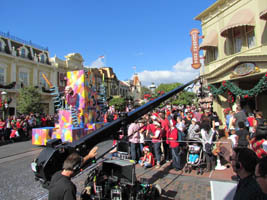 Too see all the performances, be sure to tune into ABC on Christmas Day for the Disney Parks Christmas Day Parade special.